DH and Dd didn't awake until 8.30am, by which time I was ready to get going  We eventually left for Disney springs at 9.30 and parked in the lime parking garage at 10. We had a look round the new world of Disney store and I went and collected out toy story land magic bands we got free with booking our tickets. 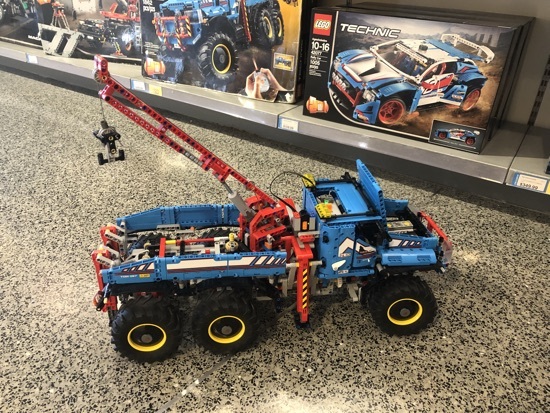 We had a look in the legs store where a man assistant called Corey talked us through the programmable Lego technic stuff and Dd got to play with some of the remote control models. 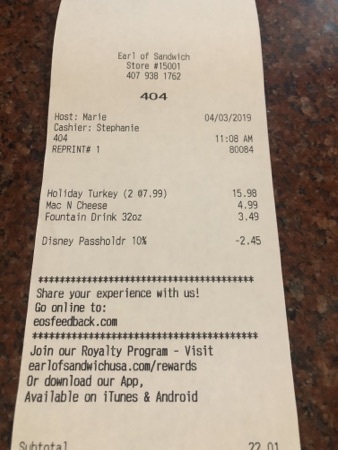 By 11am we were starving and here was only one place I was interested in for some lunch - earl of sandwich. 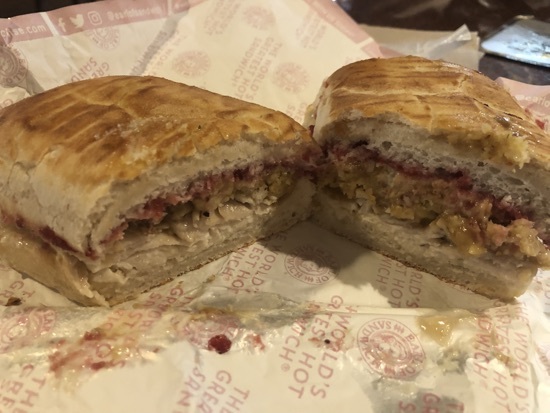 DH and I both got a holiday turkey sandwich, these are served hot with surely, cornbread stuffing and cranberry sauce and are absolutely amazing! They cost $7.99 each but worth every cent! 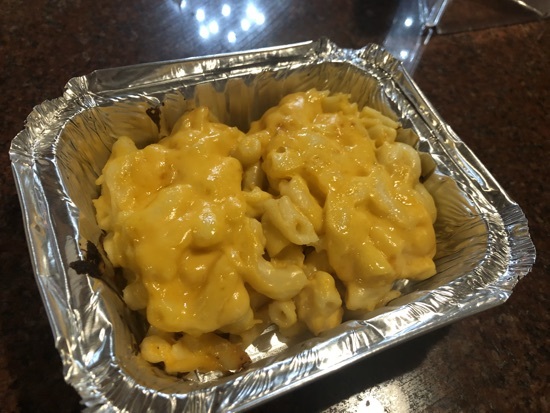 Dd had a side portion of mac cheese, this is really good and DH finished it off. We also got a large fountain drink to share between us. This came to $22.01 with our 10% passholder/dvc discount. After lunch we wandered back to the car and Dd and DH looked in a few shops and we drove on over to Hollywood studios where we had fastpasses for today. 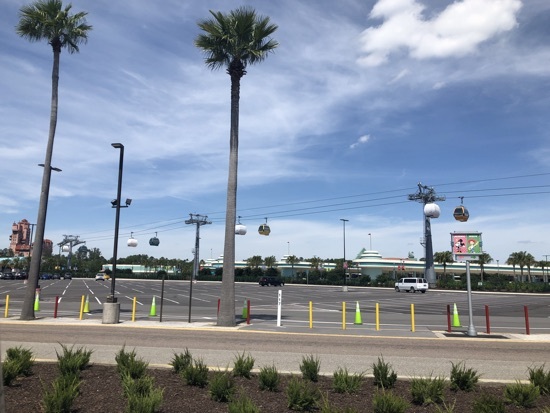 On the way into the car park the gondolas were being tested so they were pretty cool to see. We have a 1-2pm fastpass for slinky dog so this was where we were headed next. 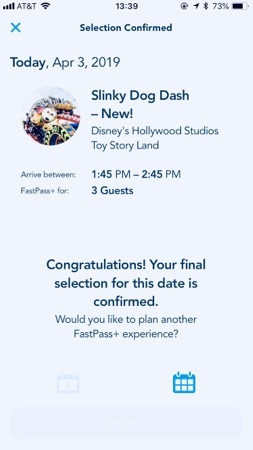 I scanned in and walked the queue but didn't ride  I waited for DH and dd at the exit and checked out the fastpass availability, after a couple of minutes I got another fastpass for slinky dog that opened in 2 minutes time, so when Dd got off the ride I asked her what she thought and whether she wanted to go again which she did and couldn't believe she could. 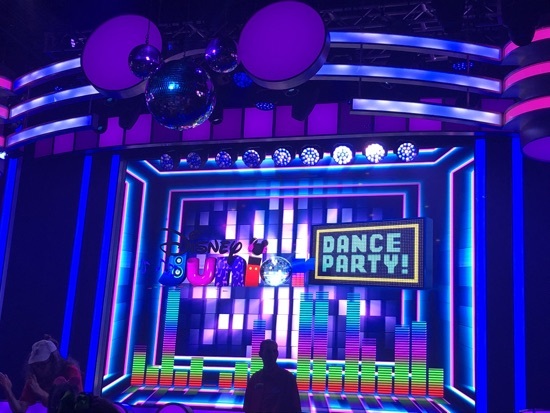 While they were on slinky dog for the second time I secured a fastpass for toy story mania in an hours time so while we waited we decided to go down to the muppet courtyard and watch the muppet 3D show, this is something I haven't done I over 10 years as I wasn't impressed last time, however DD really enjoyed it and I didn't think it was as bad as I remembered. 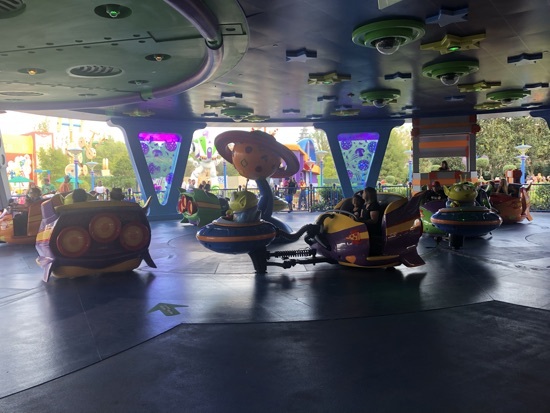 We walked back over to toy story land and it was bang on time for our toy story mania fastpass, while walking through the queue I got us a fastpass for alien swirling saucers an hour and a half later. Refreshing the app really works with a little perseverance. DH won on toy story mania with a score of 185000 . The crowds didn't seem too bad today. 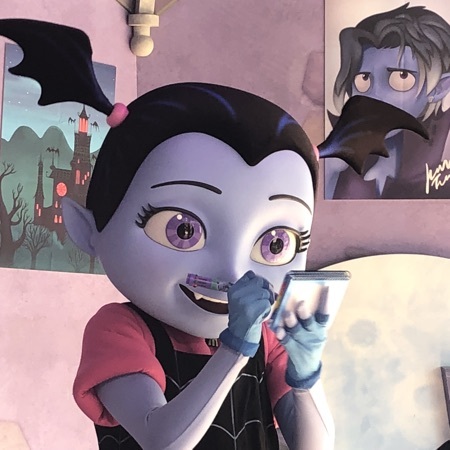 We walked back over to animation courtyard and queues up to meet vamporina as she is someone we haven't met before and Dd watches her show on Disney junior sometimes. 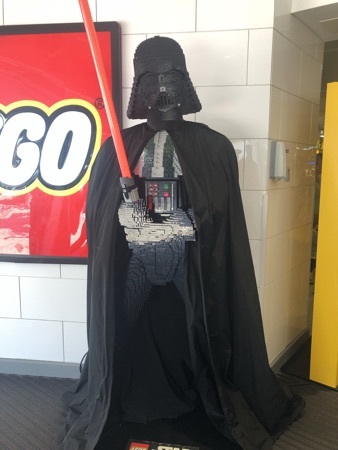 DH then wanted a look in the launch bag at the Star Wars merchandise, so I had a quiet sit down and saw these guys lurking around. 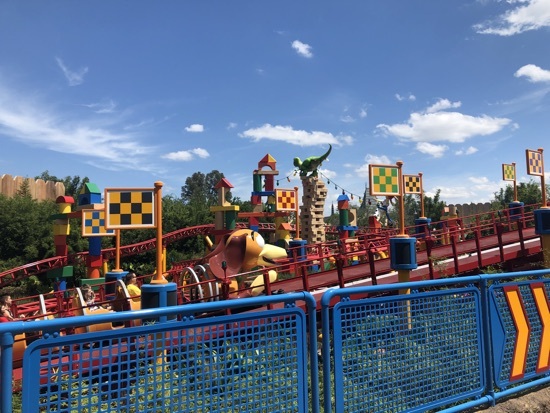 Our fastpass for alien swirling saucers opened at 4.50 so we made our way back into toy story land, it felt like we'd been back and forward from here all day, but can't really complain when It's for fastpasses meaning no long queues. This was really bumpy when changing tracks, more so than I remembered. We had a decision to make now, stay into the evening or go and grab some dinner. Unsurprisingly the food won! We'd been debating what to do this evening but decided to see how we felt after dinner. 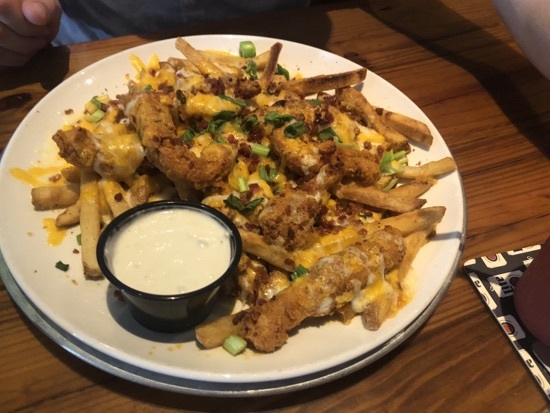 We drove up the I4 to crossroads and stopped off at millers ale house. Apologies but we get the same here very single time we go  DH and I shared the zinger mountain melt with mild sauce. It came with a blue cheese dressing on the side too. The sauce was abit too mild, but it still tasted amazing and we demolished this! 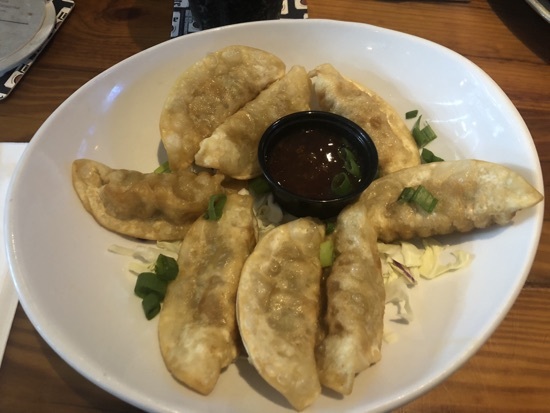 We also got the starter of pot stickers, these were served with a sweet chilli dipping sauce, these were also really good. 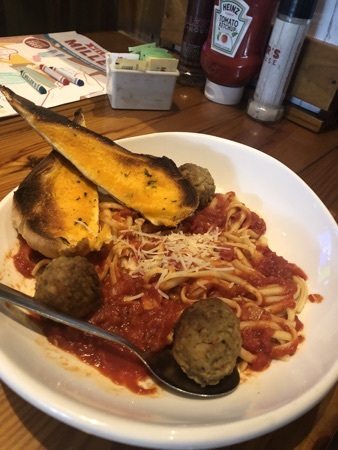 Dd ordered off the kids menu, she had he spaghetti and meat balls which came with some garlic bread. The garlic bread was slightly burnt but she wouldn't have ate this anyway so it didn't matter. We all had cokes to drink with this. We managed to have enough room for dessert. We got the captain jacks buried treasure to share. This is an ice cream cake with chocolate sauce, caramel sauce and chocolate crumb. 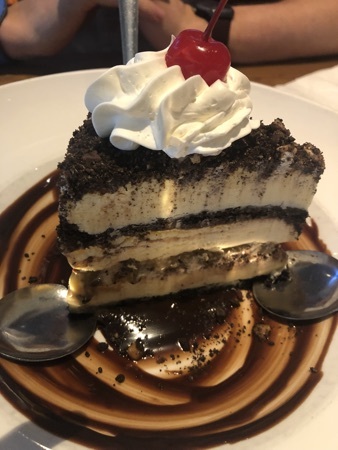 We absolutely love this dessert and it was polished off in no time. 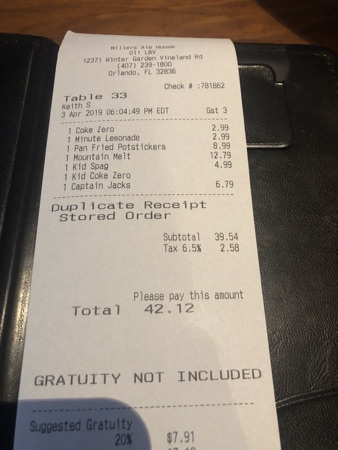 The bill came to $42 which is why we love millers, it's great value and the food is amazing! There was no waited to be seated either which was/is another bonus of this place. 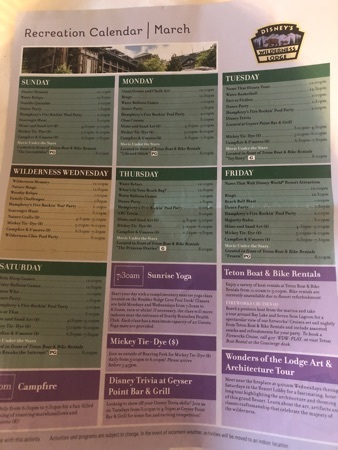 After such an early morning this morning I decided I could do with a quiet evening, we had considered heading back to Disney springs but instead returned to the hotel. Dd was wanting to go in the pool but we weren't convinced it was warm enough. 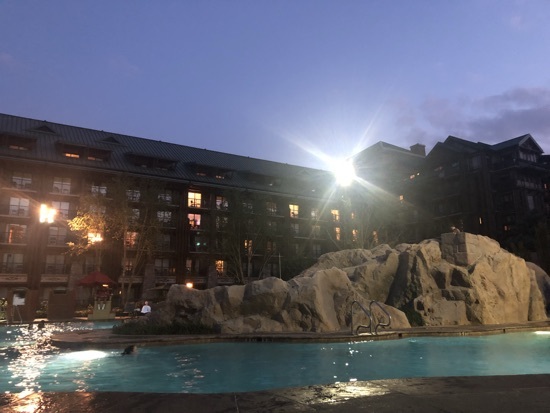 However when we got back to the room we discovered tonight was the wilderness glow pool party at 8pm so decided we would pop along and see what that was like. New Photo Added by missdopey - 4 Apr 19 11:47 AM. We love Millers too! I always go for their BBQ ribs, but your zinger melt looks good! Amd that pud... mmmm yummy. 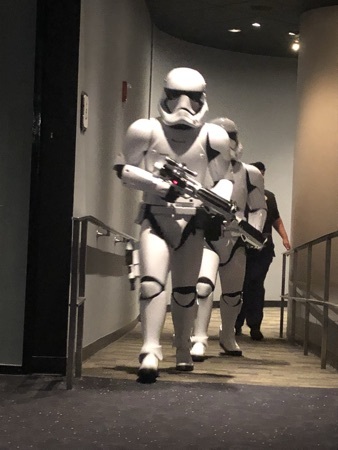 I always love seeing the star troopers. They still scare me even at age 47. DAYS UNTIL I AM BANKRUPT AGAIN! We love Millers, good food and value for money. 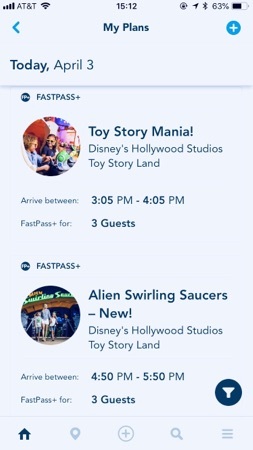 Fab use of fastpasses. A really lovely end to the day too. All times are GMT +1. The time now is 06:13 PM.